When you require time-sensitive shipping for all of your refrigerated items, contact Razir Transport Services. Our Winnipeg company serves Canada and the USA. You can call us for nearby deliveries or long-haul trucking. Your complete satisfaction is important to us, and that’s why we have dedicated and knowledgeable employees who keep track of deliveries and professional drivers who provide updates about ETAs and road conditions. If there are any delays or problems on the road, you’ll hear about it from us promptly. 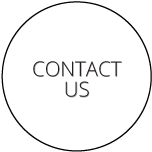 Give us a call to learn more about our service.